Today is about Peace. From the beginning of time, God has wanted us to live in peace with our neighbours and our enemies. At some point, however, man ran from peace and chose hatred instead. But God never gives up. 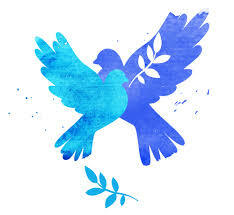 God’s gift of peace is something we should cherish and share, and just maybe it will flourish throughout the world.